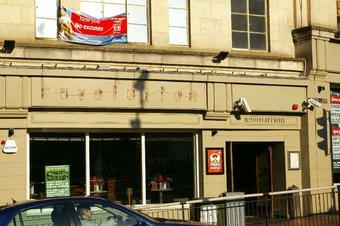 This is now, as already pointed out, the Revolution Bar. Perfectly aligned tables where perfectly dressed punters sip their colourful brews while a DJ twiddles away in the background. �11 for a dazzling array of six shots, which was nice. You're right! Its now Revolution and its jolly pleasant. i heard it was turning into a revolution vodka bar. should be a welcome addition to the bar scene. will be an ideal place for good afterwork drinks and before going to the grand. 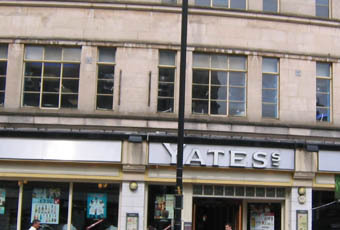 At the time of writing, this pub is shut. I am not sure whether it is having a refurbishment or whether it will re-open as something else. I suspect the latter, as most pubs in the area are packed out throughout the week whereas this stays quiet. As other reviews allude, it's a pretty grim pub in an area where quite nice pubs/chains prosper.